Why use a trade mark attorney to help with your trade mark? Why use a trade mark attorney? There’s lots of information online… It’s a question I get asked a lot. It’s true, you absolutely do not need to use a professional to help with your trade mark protection. In the same way that you don’t have to use an accountant to file your tax return, or the Check&Send service for your passport application. I’ll help you choose what application to file. It might be better for you to file a trade mark application for your logo minus a few bits. Or maybe in black and white. Perhaps the word on its own would be better. A trade mark attorney will discuss your business plans, will look at the registrability of your trade mark, and make suggestions based on those considerations. This reduces the risk of the trade mark being refused. I’ll help get the admin right. I’m currently working with three separate clients who have had issues over ownership of their trade mark rights. A trade mark attorney can help spot those issues and help get it right in the first place. To record a transfer of ownership of a UK trade mark there’s a £50 official fee and you may also need an assignment document which will need to be prepared professionally. I’ll help choose the classes and goods/services to cover with your application. With input from you, and decent questions from me, I will help work out which classes to cover with your application. For example, you might sell jewellery, but what about toy jewellery, or teething jewellery, they all fall into different classes. A trade mark attorney will work with you to make sure that you’re covering the right things and using the right language. This will save you money as it is not possible to add extra items once an application has been filed so you’d need to file a new application to cover the things you’ve missed. That’s a couple of hundred £s saved there. I’ll find a cost-effective solution for protecting your trade mark. You might offer worldwide shipping, or export your goods, we’ll look at your countries of interest and put together a filing strategy to make sure you cover all of the countries relevant to you in the cheapest way possible. I’m well connected to trade mark attorneys in other countries and can usually get information and input to help you make decisions in those countries. I can also help you find an advisor if you have an issue overseas and don’t know where to start. I’ll take away the hassle and the admin. You’re busy, we all are. Once we’ve got the information right for you and the application has been filed, there’s nothing else for you to do. I’ll keep on top of the progress of it, I’ll spot when things have taken longer than they should and will follow up with the relevant trade mark office. I’ll look after the trade mark for you. Trade mark attorneys have record systems, your trade mark details will be added to those records and you’ll be reminded when things need to be done. Usually if you have a trade mark attorney recorded as your representative any correspondence about that trade mark will come to us first – that means that you’ll get more than just a random letter, you’ll get some initial advice about what the letter means and what, if anything, you need to do about it. If you’ve changed address or contact details, you might have forgotten to update the trade mark register, but we won’t change address without updating it, it’s part of our role. So you’ll always know that someone is able to be contacted about your trade mark. I’m here for the extra “can I just ask…?” questions. I won’t charge you for asking me anything I can answer about your trade mark, it’s all part of the service. You can ask as many questions as you like, and if you’re local I might even buy you a coffee while you ask! So there you go, a couple (wow, seven!) of good reasons why a trade mark attorney is a useful person to have around. 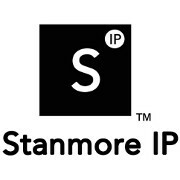 Please feel free to get in touch if I can help you with your trade mark matters. This entry was posted in Help & Advice and tagged Save money, Trade mark, trade mark attorney on 5th July 2016 by Stanners.